Julian Casablancas is "planning on recording" new material with The Strokes. Following his recent album 'Tryranny' with The Voidz, the frontman has revealed that he wants to shift his focus back to his original band, which hasn't released anything since 'Comedown Machine' in 2013. Julian told Noisey: "It's the first time we've been exclusively writing since 'Comedown Machine'. We're planning on recording stuff. I still think we could do cool things and I'll do that. I'd like to do both [bands] really if I could." The 36-year-old singer also revealed plans of working with Savages singer Jehnny Beth on a new track. 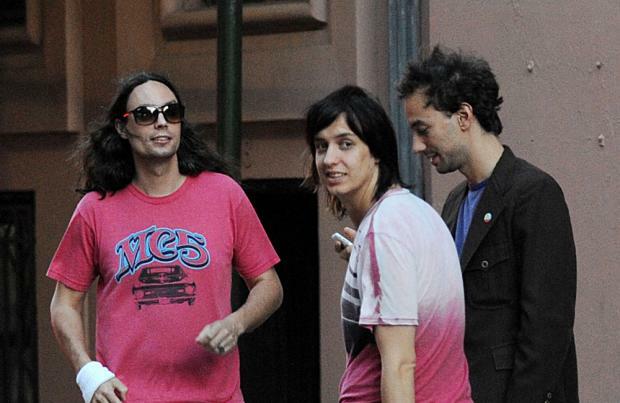 Julian became friends with the band after they played alongside The Voidz at a number of South American festivals early in 2014. Meanwhile, The Strokes recently announced they'll be headlining the 'British Summer Time Festival' in London's Hyde Park on June 18, which will be their first UK gig in five years. However, the musician has distanced himself and both bands from the possibility of appearing at the iconic Glastonbury music festival this summer. Julian wrote online: "For those kindly asking, nopes, no Glasto this year!"